Thanks for stopping by for a visit. My goal is to inspire that inner-crafter in YOU. This blog is a work in progress and I'm learning as I go. 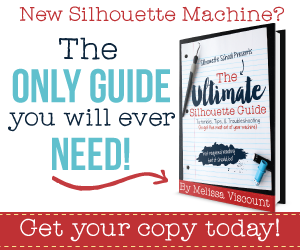 As a Terri Johnson Creates licensed Silhouette Instructor, I offer one-on-one and group Silhouette instruction. 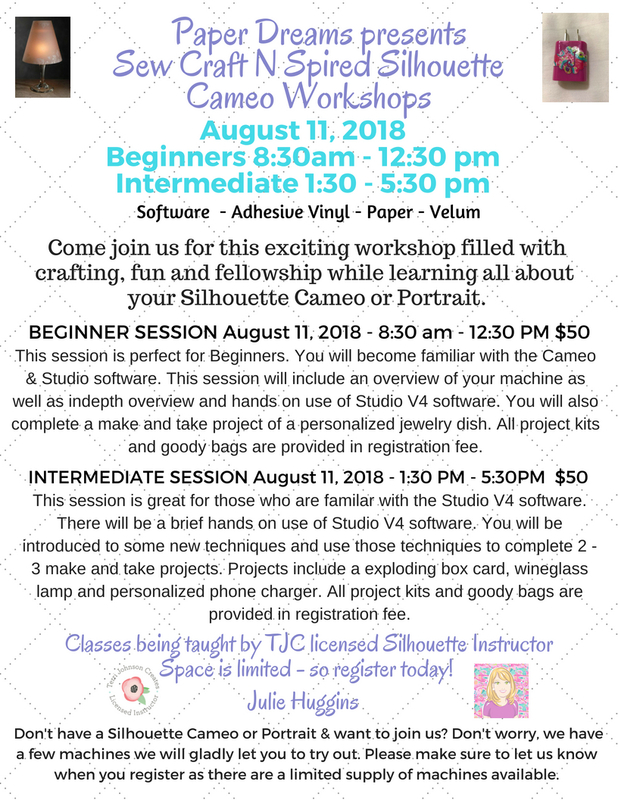 I also host crafting retreats and workshops for all things Silhouette related. I am currently available for events in Georgia and north Florida. If interested, please contact me for more information and scheduling. Happy Crafting! 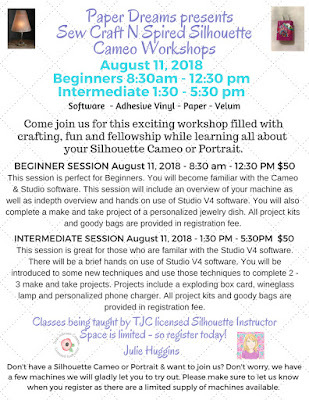 Upcoming Workshop In Kennesaw, Georgia If you are in the area, we would love to have you join us! Thanks for stopping by. I would love to hear from you. Also, please feel free to suggest anycrafting projects or tutorials you would like to see in upcoming blogs.